Two ladies working overtime met up to have dinner together. Selected a number of locations, and in the end, chose the one nearer to the one working later, to cut down waiting time for the complaining tummies. 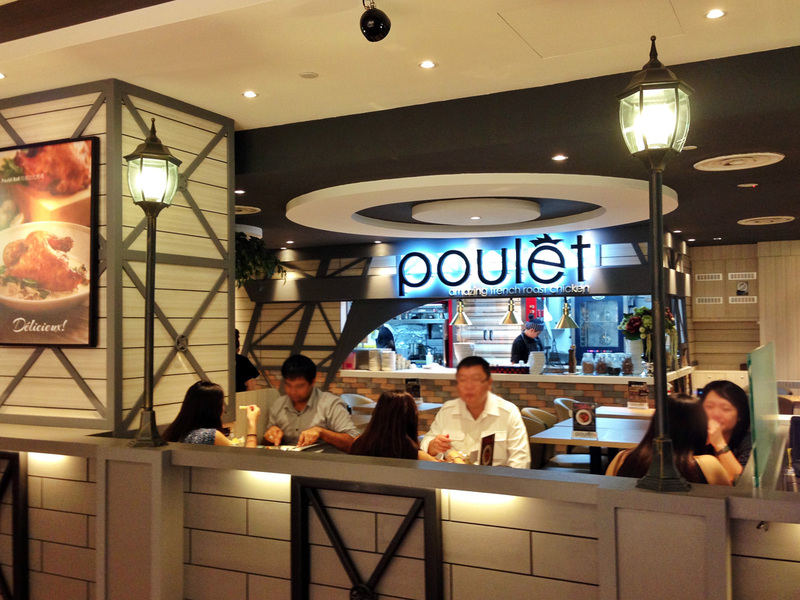 They chose to satisfy their tummies at Poulét, a place that caught the eye of one of the ladies, with its delicious looking photos posted online. 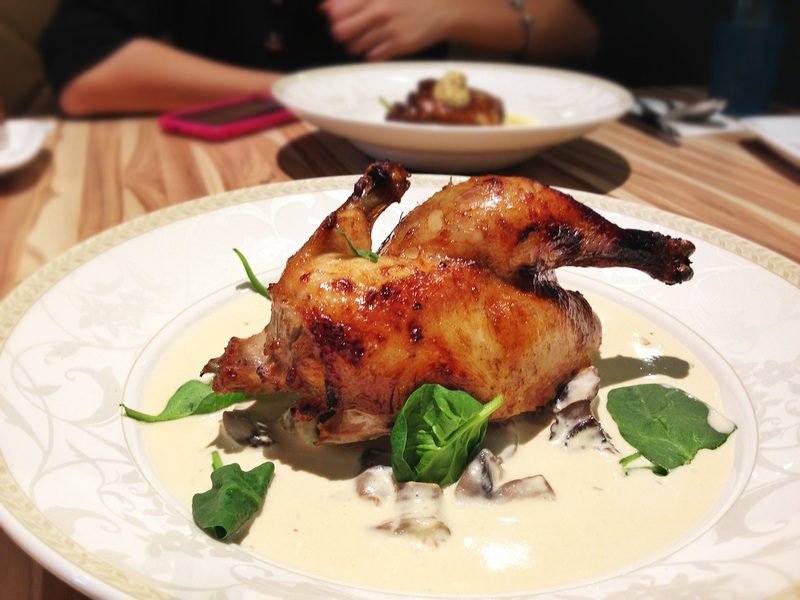 Poulét is a modern French-themed bistro offering affordable French classics to the mass public. The restaurant features an open dining area inspired by modern alfresco setting in France. Diners will be able to view the chefs in action through an open kitchen while indulging in casual comfort. Driven by the passion and inspiration from market ingredients and classic French cooking techniques, Poulét serves up an array of French cuisines priced at a comfortable range. Menu offerings include everything requisite to compose a complete French meal; Appetizers, Soups, Salads, Sandwiches, Mains, Sides and Desserts. 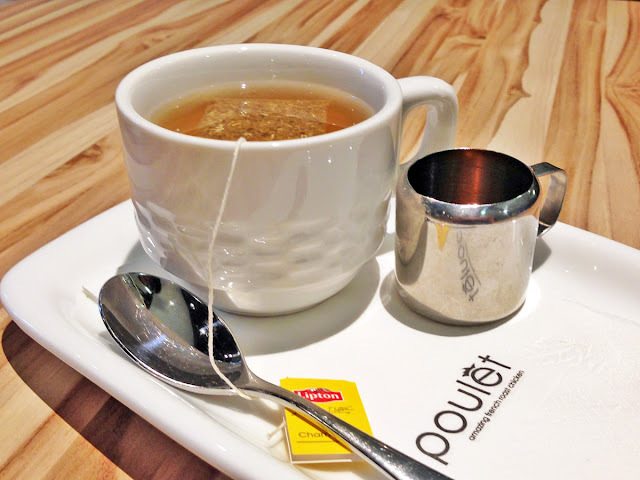 Here's what Poulét serves. There are not as many mains as expected. However, it's still quite easy to settle on one. The desserts list looks tempting too. 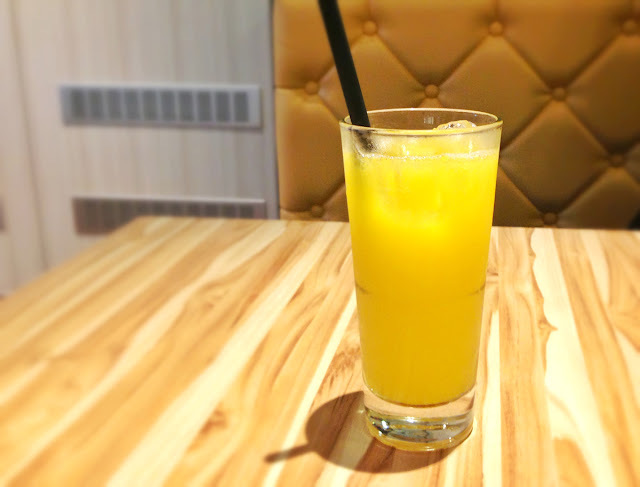 Even though the ladies ordered drinks from the menu, the waitress offered to serve them iced water too. Great service there. Sinful sounding dish. 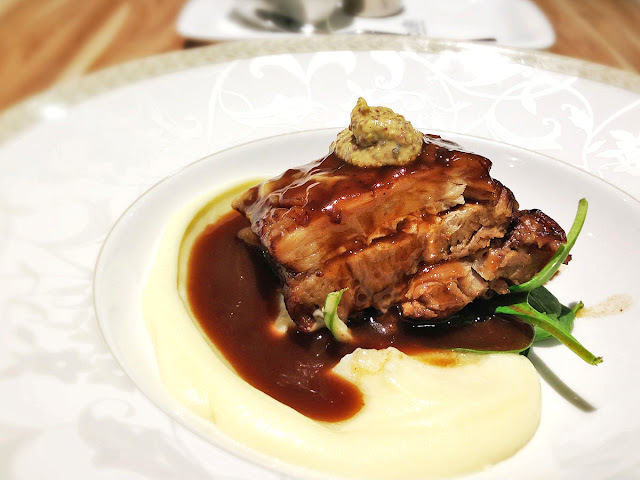 Tender thick meat with sweet tasting evenly mashed soft textured mashed potato. Not the kind of fatty oily pork belly. After the first mouthful, you will reach for the second. Rotisserie Poulét Roti [$15.80/Half] - Our restaurant's star dish deserves every thumbs up it has been give. The poultry is brined for a full day in a traditional recipe then placed in the rotisserie for a slow roast until the skin tans to a golden brown. Lastly we added oomph to the dish with our home-made Mushroom Chardonnay Sauce to create the perfect combination. This dish deserved being the star dish. It's really very tasty. The meat is so tender to the point that when slicing off the drumstick, it cuts through effortlessly. The poultry taste especially delicious as you cut the pieces of meat while it's being dipped in the home-made Mushroom Chardonnay Sauce. A recommended. The ladies thought of getting desserts too. However after finishing the mains, they were both too full to order more. 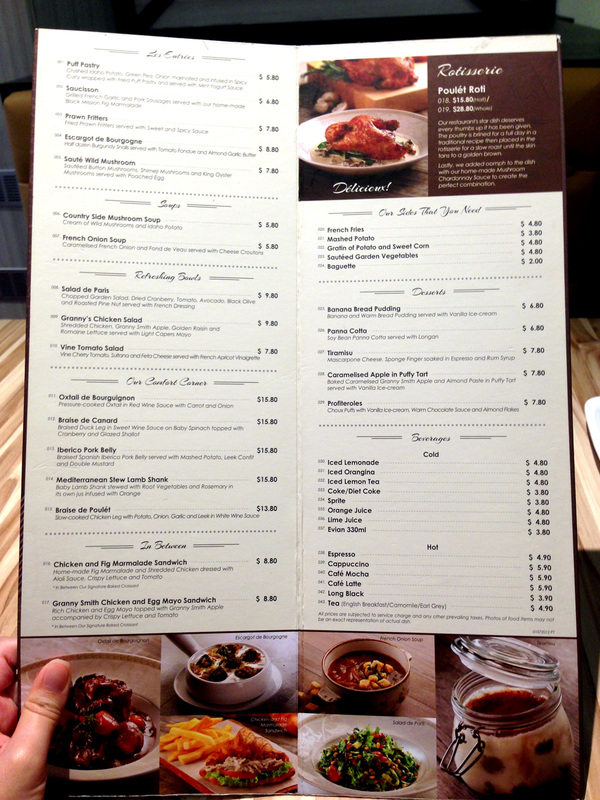 Next trip, for 2 pax with small appetite, try ordering one main, one side and a dessert.